Out of all retail stores known to man, Hobby Lobby offers the least amount of sales on Black Friday. They will most likely only offer their same typical 50% off select home accents, and a 40% off any one item coupon. While these deals sounds great, it is the same exact sale that they run every week of the year. Hobby Lobby has everything from arts and crafts to decor, Christmas trees, floral, custom frames, and more. We don’t currently have the 2017 ad, but chances are it will be almost identical to the flyer below from last year. This ad was valid for Thanksgiving weekend including Black Friday (11/20/16 – 11/26/16). It includes 50% off select home decor categories, 80% off Fall decorations, and 50% off most Christmas items including Christmas Trees & Crafts. As always there is a 40% off coupon in case you find a full price item you want to buy. 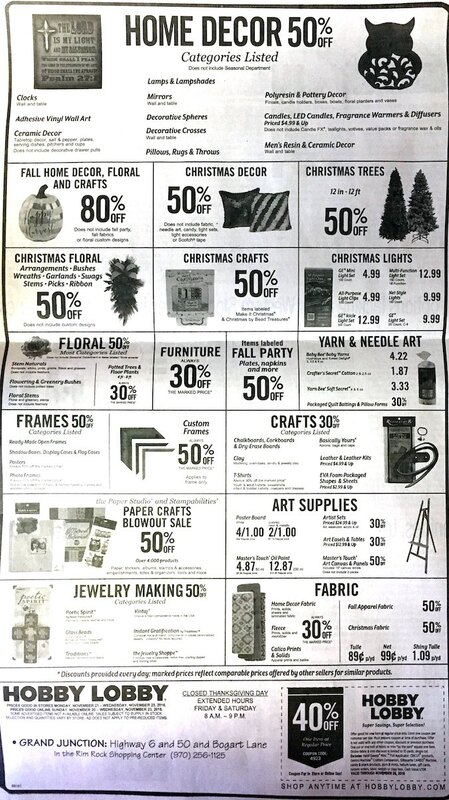 The Hobby Lobby deals are valid in store and online through the Saturday after Black Friday. 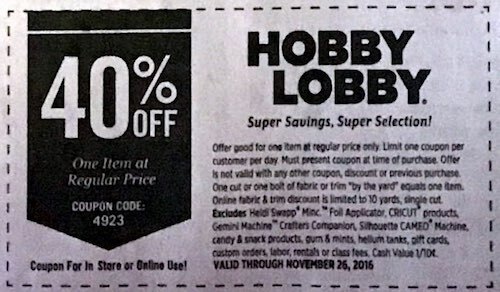 Shop the Hobby Lobby Black Friday Deals online now at HobbyLobby.com .